New bloggers and web owners can learn here, how to Advertise Google Adsense on their blogs and websites to earn money. This tutorial is very special for those who wishing to start their own business at home. So, lets started. With the help of Google Adsense, you can earn good revenue by serving ads on your blog or website. Google Adsense is a Google platform for Publishers which can earn money via serving ads on their sites. People who are new to this field are very curious about this. They do not wait and they want to earn soon so that’s why they apply on Google AdSense without thinking. 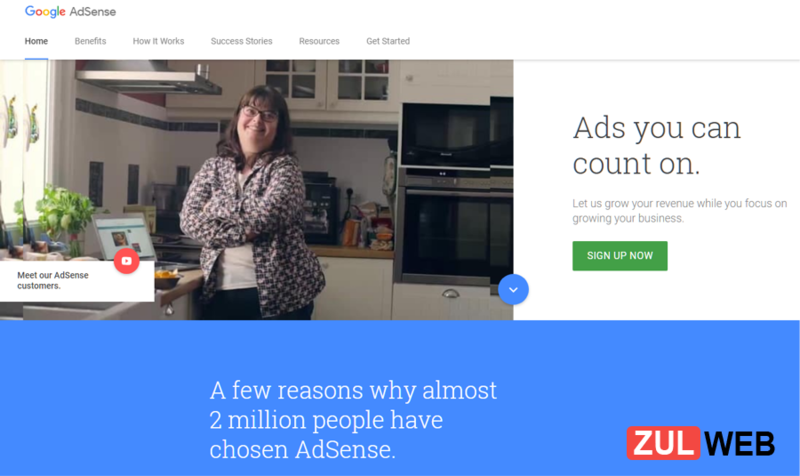 Now Google AdSense rejects their application, then they have to face bigger problems. Therefore, before applying on Google AdSense, keep an eye on these things. If your site fulfills the given requirements then you can apply for Google Adsense and we hope Google will not reject your application and Approval 100%. 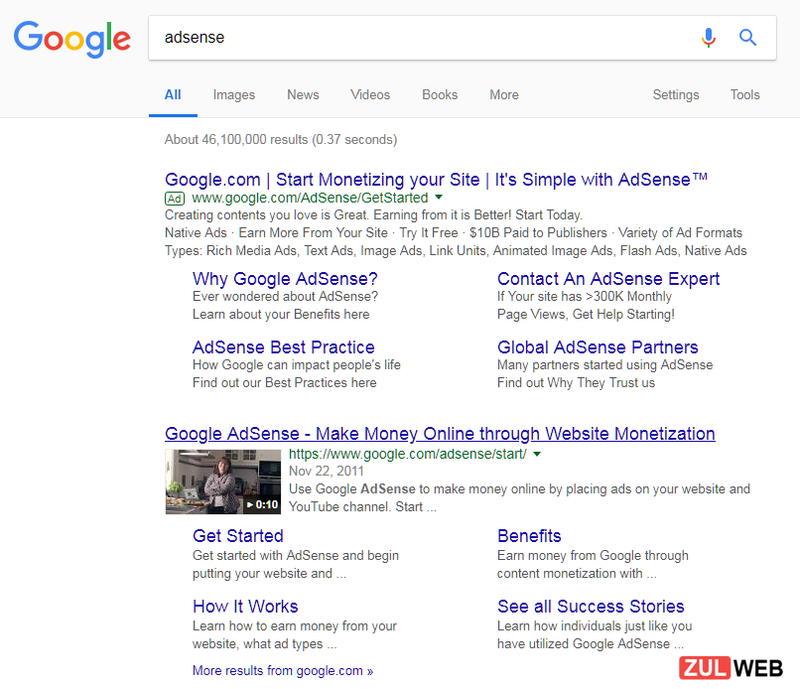 Here we will explain to you the full process of applying step-by-step for Google Adsense and will teach you in a very easy way that How to Apply for Google AdSense. Step 1. Search on Google, click “Google Adsense” and click on the website at the top, or you can go straight to the website of Adsense by clicking here. Step 2. Now here you will find SIGN UP NOW Click on button. Step 3. Now you have to sign in with your Gmail ID and if you do not have a Gmail ID, then you will have to first create your Gmail ID by clicking Create Account. According to the picture, click on Sign in and log in by filling in your Gmail ID and Password. Step 4. Now you have filled your website details. 2. Choose the language of your website; If your content is in English then choose English. 3. Now click on Save and Continue. Step 5. Now here you have filled your Contact Details and note that all the details are original and correct. Now, let’s click on Submit my application. Thus the entire process of creating your Google Adsense Account has been ended. You have now applied on Google Adsense. Step 6. You will receive a mail from the Gmail ID you applied to Google Adsense. Where you have to click on the Get start now button. Step 7. Now Google will give you a Page Level Ads code that you have to copy and paste on your website. Copy the code according to the image and paste this code just after the <head> tag in your website. Step 8. After putting this code on your website, Google will now check your website and if your website looks correct on Google Adsense, Google Adsense will send you the mail of Approval within 2 to 3 days. Step 9. When your Google Adsense account is fully approved, you will be notified through a mail. When you are approving the Google Adsense Account, now you have to place an ads code on your website that can show ads on your website and start your income. 2. Now click on New ad unit here. Step 4. Now you will get a code that you have to copy and paste on your website. Advertisements will start showing in the website where you paste the code. You have done it. We hope this tutorial will help new bloggers and site owners and will create a sense about Google Adsense. Share this article with all the blogger friends on their social media so that your other friends can also get the right information about it. How do you like this article, you must tell us and yes if there is some shortage in this article or you want to add something new in it, then you can send us your suggestions through comment. Thanks!